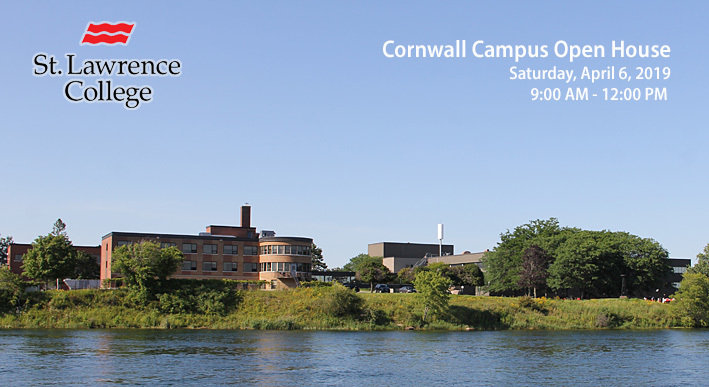 Cornwall Ontario – St. Lawrence College will be holding an Open House on Saturday April 6 at the Cornwall campus from 9:00am to 12:00pm. 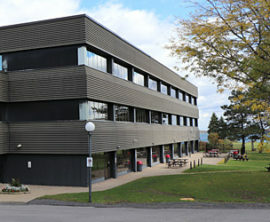 The Cornwall Campus of St. Lawrence College is nestled on the banks of the St. Lawrence River, immediately adjacent to the popular Waterfront Trail. The campus has recently received a major redevelopment, resulting in new class rooms, new equipment and an overall improved experience. The Spring Open House is an event for anyone interested in learning more about St. Lawrence College, including high school students considering a post-secondary education, high school graduates, current SLC applicants, teachers and guidance counsellors, parents and guardians, and individuals wishing to make a career change or upgrade their skills. Take advantage of the on-site Application Station to submit your application on the spot! Located along the shores of the St. Lawrence River, St. Lawrence has College has three campuses in Brockville, Cornwall and Kingston. The College boasts 6,500 full-time students from Canada, and more than 40 countries worldwide. 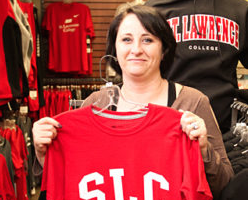 The SLC college community includes 20,000 part-time students, 1,000 staff, and more than 70,000 alumni. The college has recently invested in the development of Applied Research and the revitalization of its campuses. St. Lawrence College is also featured in the new edition of Cornwall Living magazine. You can order your complimentary copy by clicking here.